Do you love a challenge? I do, especially when it involves books. When I read about this particular challenge, I decided it was the perfect way to kick off 2010. Let the reading begin. . .
What is the 2010 Debut Author Challenge? 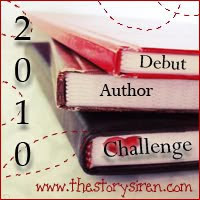 The 2010 Debut Author Challenge is being hosted by The Story Siren. 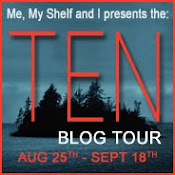 The objective is to read a set number of YA (Young Adult) or MG (Middle Grade) novels from debut authors published in 2010. The challenge will run from January 1, 2010- December 31, 2010. You can find more information and guidelines at The Story Siren. YAY!! Thanks so much for joining the debut author challenge! it's going to be so much fun! you have a great list of books too! Good Luck! Thanks so much for including The Cinderella Society on your list! I hadn't heard of Wolves, Boys... so I'm off to check that out now. I love catching wind of new to me books in everyone's challenge lists. Thanks for the heads up!